Only 2 par 5's at Woolton but what superb holes they are. This is the first of them, and measuring 533 yards and playing into the prevailing wind, what a test it is! The tee shot is downhill but the further you go, the tighter it gets. 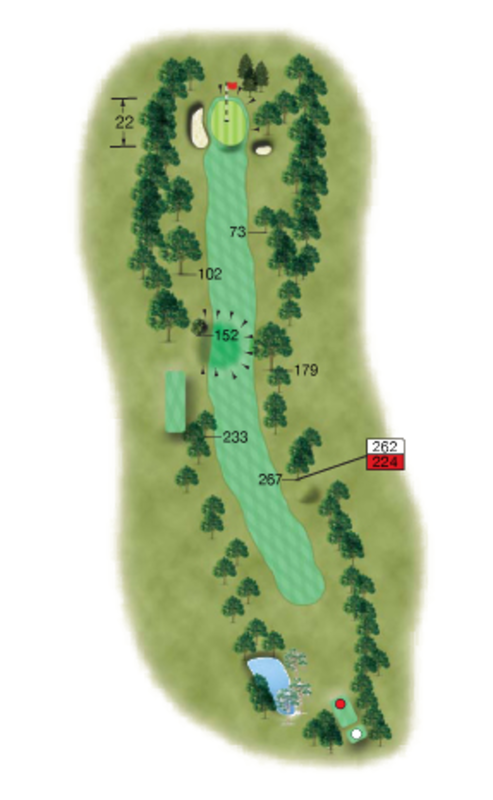 The hole then turns to the right and goes steeply uphill with trees left and right. Bunkers lie in wait left and right of a green which has a severe slope from back to front to contend with. The longer the drive the narrower the fairway gets. The approach is steeply uphill, so use an extra club.